If you want to create positive change in your communities, are inspired by IMAN’s work, and want to deepen your understanding of how IMAN’s campaigns are organized, then you can benefit from IMAN’s two-day Community Organizing Training. IMAN’s Community Organizing Training serves the general purpose of developing leaders and preparing individuals to move their communities into action. 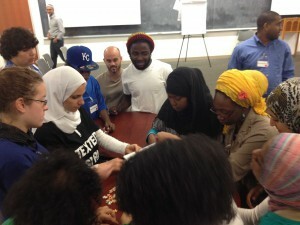 Its curriculum is designed to immerse you in IMAN’s unique organizing model. IMAN’s methods are grounded in the prophetic principles of compassion, service and justice, and informed by successful local and global organizing traditions. Check back soon for details about our next Community Organizing Training!